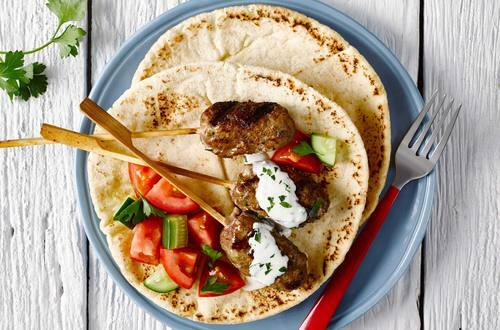 Create this tasty and fresh take on Greek street food in just 25 minutes. Great as a light mid-week meal for the family, or as a quick BBQ dish on the weekend. 1 In a large bowl combine mince, onion, Stock Pot, egg, parsley, cumin and lemon rind. Mix well and form the meat around 16 skewers. 2 Preheat barbecue or grill pan and cook skewers for 10-15 minutes until browned and cooked through.